Comment: We have noticed a hole form at the end of our sidewalk that leads to the driveway open up. We tried filling it with small rocks but it continues to need more rock. We need to find out what we have here or is it dangerous. 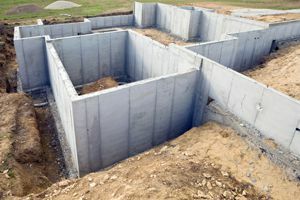 Comment: I would like to get an estimate to have a foundation installed for my mobile home. I would also be interested in financing this project. Comment: Hillside behind home ,rain run down ,wall and drains to prevent, relocate runoff . Soddy Daisy Foundation Contractors are rated 4.70 out of 5 based on 239 reviews of 12 pros. Not Looking for Foundations Contractors in Soddy Daisy, TN?